Welcome back. Hopefully everyone had a nice relaxing Thanksgiving and differing beliefs and political positions didn't ruin too many family get-togethers this year. 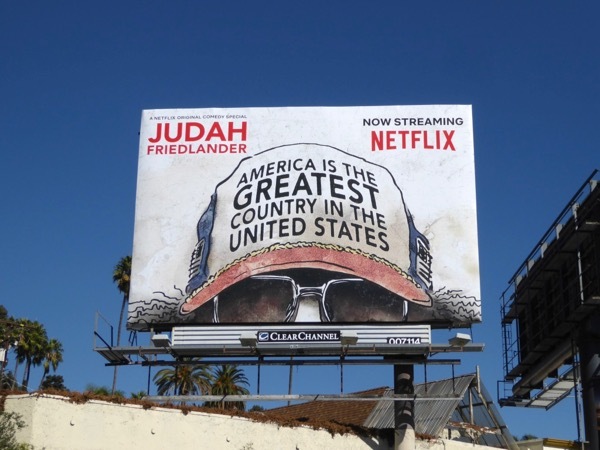 Some people ruin everything and Donald Trump has certainly ruined red baseball caps for the majority of Americans these past long months, and that's why this ad creative for Judah Friedlander's new Netflix stand-up comedy special is so relevant and eye-catching. 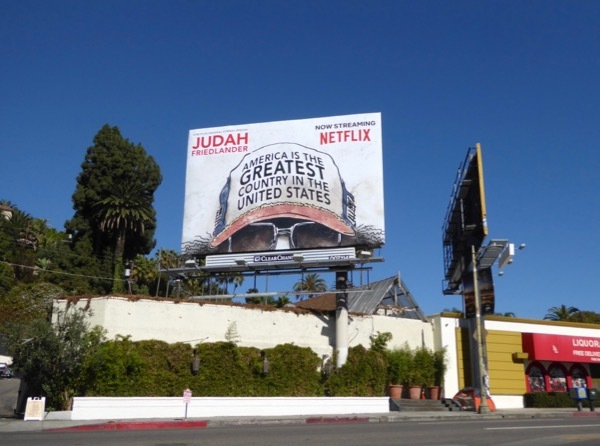 This fun parody billboard trolling Putin's number one fan and his supporters was snapped along West Hollywood's Sunset Strip on November 3, 2017. 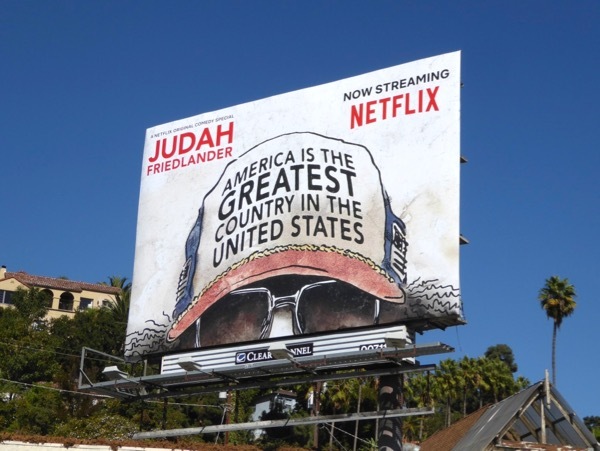 For other great outdoor advertising examples from this nightmarish Trump era, make sure you also check out these Jim Jefferies Freedumb billboards, these I Love You, America with Sarah Silverman billboards and these Saturday Night Live Emmy billboards. 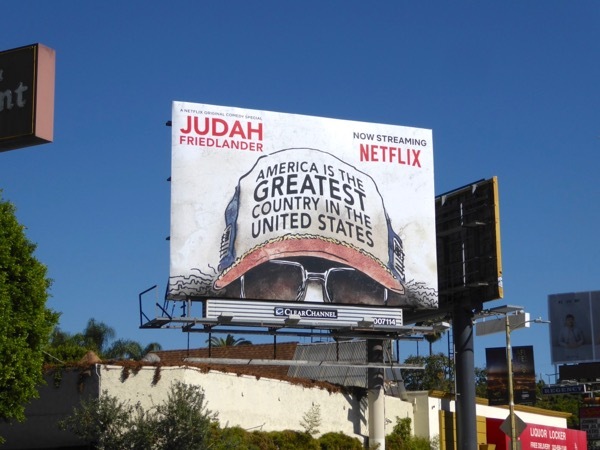 People may ask why don't you give the President a break, and Daily Billboard would answer, he's getting a pretty big tax break thanks to the GOP, especially considering the fact we've never seen his tax returns. Let's hope it's not too long before America dumps Trump and once again becomes the greatest country in the free world again.